MusicSafe Pro natural sound ear plugs were created for professional musicians, but we have found these exceptional ear plugs are ideal for a wide variety of applications found in everyday life. Three sets of filters provide three possible noise reduction ratings: NRR 8, NRR 11, or NRR 16. Now available in both black and white. Music performance, whether you play an instrument, sing or direct. Music practice, especially for professional musicians, for music teachers and their students. Attending music concerts. Many concerts today are so loud they are dangerous to your hearing, and the extreme volume distorts the sound at your ear. With MusicSafe Pro, you are protected and you will hear the music better, with less distortion. Attending church services in which the music is too loud for you to hear comfortably. Watching TV with a spouse who needs the volume too loud for your comfort. Attending all sorts of motorsports events including drag racing, tractor pulls, NASCAR events, motocross, and other such events. NOTE: you may need additional protection in the form of ear muffs worn over your MusicSafe Pros at extremely loud events. Noisy offices where you find it hard to concentrate. 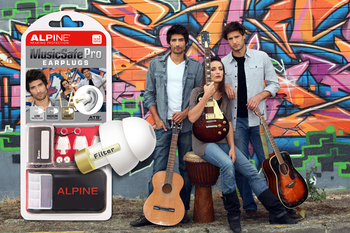 MusicSafe Pro Natural Sound ear plugs from Alpine Hearing Protection are the top-selling specialty ear plugs all across the European Union. Now these world-class high-tech ear plugs are available through Ear Plug Superstore to our customers in the US and the many other countries we serve. Your MusicSafe Pro package contains three different filter sets, providing you with a choice of low, medium, and high attenuation levels to suit many different situations. The calibrated acoustic filters provide optimum hearing protection without loss of sound clarity, so you can still hear what you want to hear while you enjoy the hearing protection level you need. MusicSafe earplugs are very comfortable, and do not cause pressure on or in the ear. Instructions for use are included in the package. Low-profile Stem Design for a less noticeable appearance on stage, at the concert, at the club, or in the office. Interchangeable acoustic filters that let you choose the level of attenuation you need in each specific situation. Natural Sound Technology that lets you clearly hear your music and voices at a comfortable, safe volume. Counter display box included with orders of 10 or more. Note: On the dB (decibel) scale, which is a non-linear scale, a 10 dB reduction in volume is perceived as half as loud, so the difference in loudness between the two filters will be perceived as a 25-40% difference in loudness, depending on the particular frequencies (Hz) present in the sound being heard. We also offer two value-priced alternatives to MusicSafe Pro: The new MusicSafe Classic (with Gold and Silver Filter Sets) and the Alpine PartyPlug (with just the Silver Filters). MusicSafe Pro Professional Musician and Concert Ear Plugs (NRR 8/11/16)5Karen YostJanuary 18, 2019I tried my new musicsafe pro earplugs last Sunday at church with the silver filters: I really enjoyed church for the first time in quite a long time; as advertised, the earplugs lowered the volume without distorting the sound. What a gift!!!!!! The earplugs are easy to use, and quite comfortable. MusicSafe Pro Professional Musician and Concert Ear Plugs (NRR 8/11/16)5MMNovember 3, 2014I have been wearing MusicSafe Pro for 7 years now and coming back for a couple more sets. I have some hearing damage from clubbing in my 20s. I still club and go to concerts but I am smart about protecting my hearing. It doesn't take very much in decibels to damage your hearing. Even a loud restaurant or bar can be damaging. I perform with the Philadelphia Opera Company and use these on stage. They are comfortable and protect my ears when I need it the most. I even use these when I work in the yard using the leaf blower, trimmer, and edger. I highly recommend these. MusicSafe Pro Professional Musician and Concert Ear Plugs (NRR 8/11/16)5j.mckenneyNovember 27, 2013best around for the money. MusicSafe Pro Professional Musician and Concert Ear Plugs (NRR 8/11/16)5J.pOctober 29, 2013Comes with 3 filters. Usually, the greater dB attenuation, the lower the sound quality and generally more "muddy" the overall tone. In this case, the highest dB rating, the more natural the frequency response. These are quite good quality and, so far, I'm very impressed. Would definitely recommend them. MusicSafe Pro Professional Musician and Concert Ear Plugs (NRR 8/11/16)5Kevin DayOctober 1, 2013They are very light and comfortable, and as picky of a ear as I have, the 3 sets of filters are nice. You'll have to experiment to see which filters you like best for different settings. I found that the gold ones cut a lot more bass than the white and silver ones do, allowing you to hear the full range of frequencies without the bass drowning the highs out, while the white ones are good for settings where the bass isn't so loud you can feel it. MusicSafe Pro Professional Musician and Concert Ear Plugs (NRR 8/11/16)4StuartJune 13, 2013I bought MusicSafe Pro for occasional use (on subway, at ball games, etc.). Have only used the White Filter thus far, and I find it quite adequate. I'm sure the Silver and Gold will be even better. The filters are easy to use and relatively inconspicuous. I'm quite satisfied. MusicSafe Pro Professional Musician and Concert Ear Plugs (NRR 8/11/16)5SteveMay 22, 2013I have now tried Vater, Music Safe Pro, Etymotic & Hearos earplugs. They all claim to lower volume without causing a muffling sound. They all fail. The clarity of the sound, whether bass, mids or highs, is badly affected by these earplugs. They are all contructed following the same faulty concept. MusicSafe Pro Professional Musician and Concert Ear Plugs (NRR 8/11/16)5Anna PuckettApril 23, 2013My husband is an older professional musician who worries about damage to his hearing from too loud gigs since he was in his teens. He really likes these and finds them to be very comfortable. MusicSafe Pro Professional Musician and Concert Ear Plugs (NRR 8/11/16)3elemusicteacherApril 12, 2013I like the material these are made out of and they are very comfortable. They do block a lot, though as alpine musician mentioned. I use them to block out lunchroom noise, recess and hallway noise at an elementary school. I also put them in when teaching general music classes when students are using a lot of instruments like recorders or with group lessons like trumpets. I think they are good for general use but I would not use them playing professionally. MusicSafe Pro Professional Musician and Concert Ear Plugs (NRR 8/11/16)5HillaryJanuary 25, 2013Works well. Comfortable fit. Gold filter provides sufficient attenuation for most of my needs, but I think the other filters may come in handy for other situations. Container could be better designed, as the extraction tool got wedged between the earplugs, and I required an additional tool to retrieve the contents. Bonus that one free earplug is also included. MusicSafe Pro Professional Musician and Concert Ear Plugs (NRR 8/11/16)3KarlDecember 14, 2012I used the inserts that offer the lowest sound attenuation, and the volume level is OK. The sound quality is not as good as I expected, as attenuation varies with frequency. They do enable me to work on certain aspects of my sound, but when it comes to actually hearing the timbre and blending with an ensemble, these hearing protectors are worthless. They are good for hearing protection only. I'd be happier if they either worked well or were priced lower. MusicSafe Pro Professional Musician and Concert Ear Plugs (NRR 8/11/16)4ChrisDecember 10, 2012I have used these off and on for a few years now. I wish I had purchased them many years earlier. My hearing has deteriorated quite a bit (no fault of these ear plugs - they might have prevented it) so earlier this year I finally got a pair of hearing aids. A few months back, I also joined a rock band again. When I used the ear plugs before I got the hearing aids, I found that the result was somewhat muffled mid and upper frequencies. My hearing on these frequencies was already reduced so when these ear plugs reduced them even further, the result wasn't that great. Now that I have the hearing aids, the situation has changed. I have Behind The Ear (BTE) hearing aids that have a small tube that goes into the ear with a soft silicone dome at the end of the tube that holds them in the ear and partially seals the canal. The hearing aids mainly deal with the mids and highs. My hearing in the low range is fairly normal and I hear those frequencies directly. Now when I go to practices or play on stage, I turn the hearing aids down a few notches and I use the ear plugs as well. The tube for the hearing aids is small enough that I can still insert the ear plugs OK. The result isn't perfect but it's pretty acceptable in the circumstances. I can now hear the frequency range pretty well so my hearing seems fairly normal. The sound level is attenuated so I can handle it. MusicSafe Pro Professional Musician and Concert Ear Plugs (NRR 8/11/16)5DaleNovember 1, 2012I received the earplugs in 3 days and the shipping charge seemed reasonable at $5.13 (I bought 2 sets of earplugs -- the MusicSafe Pros and also a pair of the Etymotic ER20 standard size). The MusicSafe earplugs met my expectations in that they fit well, are easy to insert (I put a thin coat of Vaseline Lip Therapy on them although I CAN get them in without it) and I like having 3 levels of sound reduction. Note: The Etymotic earplugs are a little too tight to be as comfortable as the MusicSafe. Even though the MusicSafe appear bigger, they are softer so they conform better. The Etymotic have a firmer tip than the MusicSafe so they don't conform as well to my ear canals. Apparently my ear canals are smallish even though I'm a male and 6' tall. A week ago I used the MusicSafe's for the first time. It was at a County/Western bar and they really crank the volume up to the point that you have to shout when you talk to someone. The earplugs made it so much more pleasant and, like another reviewer said, made it easier to hear someone when they were talking to me. One other nice thing about the MusicSafe Pros -- you get an extra earplug so if you order 2 pairs, you will actually have 3 pairs of earplugs and 6 pairs of filters. MusicSafe Pro Professional Musician and Concert Ear Plugs (NRR 8/11/16)5CarlOctober 19, 2012I recently found these plugs online and have been pleased with the way that they feel and how they operate. An added plus is that they are not very visible. It's also very convenient to have a third plug to carry in case a different filter is needed depending on the environment. I'll be using them often since I have tinnitus and need to be careful in noisy situations. I recommend these for anyone attending loud events such as concerts and sports events. MusicSafe Pro Professional Musician and Concert Ear Plugs (NRR 8/11/16)5AlexOctober 1, 2012I attend a large number of live music events and I need a comfortable earplug with excellent sound quality, and these fit the bill. Before I bought these I was using earplugs that are very similar in appearance to the ER-20 earplugs sold here, I believe they are actually the same earplugs sold under a different name. I was happy with the sound quality and comfort of those plugs but they were worn out and I also wanted a plug that was less visible when you are wearing them. The Musicsafe plugs are are much smaller and the stem of the earplug can actually be trimmed to make them smaller still, so they are very hard to see when you are wearing them. As for the three sets of filters that are included, I have a hard time telling the difference between the three, even using them back to back. Compared to the plugs I had before, they all seem to lower volume more, although this may be partly due to my old earplugs being worn and missing some material. The Musicsafe plugs do seem to have better low end response then my previous plugs. Regardless of the filter used the sound quality is very good. Also, in the picture of the package on this website there is no keychain case for the earplugs, but when I ordered mine this case was included. In summary these are a great product for the musician or serious concert goer, and a good lower priced alternative to custom plugs. Unless you are very picky about sound quality you may want to consider the MusicSafe Classic or PartyPlug which do not include all three filter sets, but the Pro also has the added feature of including a spare plug. MusicSafe Pro Professional Musician and Concert Ear Plugs (NRR 8/11/16)5jillAugust 26, 2012A friend recommended that I get a pair of musician's ear plugs. He was right, these ear plugs have made the music quieter without distorting the music. Foam and wax can not come close. MusicSafe Pro Professional Musician and Concert Ear Plugs (NRR 8/11/16)5BlaiseAugust 3, 2012These are very versatile ear plugs....3 levels of reduction plus an easy to use applicator. They work great in loud music situations and for sleeping. MusicSafe Pro Professional Musician and Concert Ear Plugs (NRR 8/11/16)5SylviaAugust 2, 2012These are working really well for me. I like the option of the 3 protection levels. MusicSafe Pro Professional Musician and Concert Ear Plugs (NRR 8/11/16)5KVJuly 31, 2012I selected these earplugs after reading the reviews; I like having the option to change the level of noise reduction with different filters. I can insert them without the insertion tool, but it is easier to properly seat them using the tool. I plan on using them when attending concerts and hope they'll perform as well as described by others. MusicSafe Pro Professional Musician and Concert Ear Plugs (NRR 8/11/16)5DamonJune 22, 2012I attend a lot of concerts. For many of them of them I am there to tape the bands. I use the MusicSafe Pro ear plugs to protect my hearing from further damage, since I am developing the early stages of tinnitus. I would recommend these to someone that is worried about damaging their hearing from constant exposure to loud music. My next purchase will be a custom fitted pair of ear plugs. MusicSafe Pro Professional Musician and Concert Ear Plugs (NRR 8/11/16)5NickJune 18, 2012If only I knew about them earlier in my career. Im DJ. And i got tinnitus 3 months ago. Loud music, stress..is to blame. I paused my gigs till yesterday. I DJ-ed with gold protection, with combination of leaving headphones (turned off after mixing) on my head as additional protection , and I was still able to play, mix well. I heard music, and talking and all good. They are little diff. to remove, but thats becouse they are short. ..so nobody will see you wear them. Also, they cut high freq, but bass, and sub-bass levels are still strong. They may become unplasent on ars, after 6 hours of wearing, but overall, they do their job. Recommend. I dont have exp. with other ear plugs. MusicSafe Pro Professional Musician and Concert Ear Plugs (NRR 8/11/16)5Carmen WMay 25, 2012To HyperSensitive Hearing Sufferers: WOW! THey WoRk! They really do reduce all those painful sounds & noises to a more comfortable level. I've been miserable for so long and had no idea there was a product like this. Over the years, I've tried them all...no matter whether i bought them at the drugstore or work said they met requirements & couldn't understand why they didnt work for me. I only know that all of those other earplugs Do Not Work! 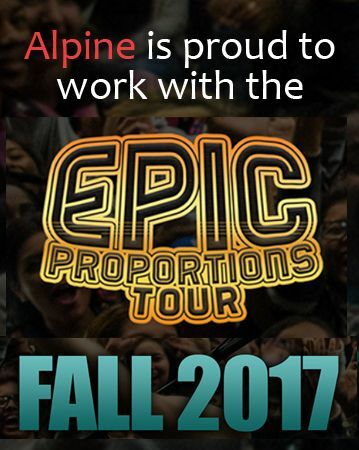 Thank You Alpine. MusicSafe Pro Professional Musician and Concert Ear Plugs (NRR 8/11/16)4BobMay 4, 2012Great product. I would recommend these to any tinitus/hyperacusis sufferers. So far I have used the -10 filters. The sound clarity is very good -not awesome -but very good. As far being comfortable, I agree with the other reviewers that these are very comfortable. You forget that they are in your ears after about 10 mins. For me, I didn't have to insert them very far into my ears to get a good seal. Regarding the storage case, any flaws reported are inconsequential compared to the benefits offered by these plugs. MusicSafe Pro Professional Musician and Concert Ear Plugs (NRR 8/11/16)3JosiahMarch 30, 2012I recently bough some Westones and they muffle too much but are clearer and have a longer stem to remove easier. These work well with not muffling too much but are hard to remove. MusicSafe Pro Professional Musician and Concert Ear Plugs (NRR 8/11/16)3garyFebruary 8, 2012The stems should be a little longer to make it easier to remove the ear plugs. The ear plugs are difficult to remove from the carrying case also. MusicSafe Pro Professional Musician and Concert Ear Plugs (NRR 8/11/16)5MattDecember 26, 2011I have been using this plug for three years, and it has been the best $30 ever spent in the music business. Wish I would have wore them 15 years ago to save my hearing and keep from getting tenitis. I wear these at every concert, loud bar, sporting event, and while playing the drums. I have never had problems while wearing these. They fit comfortably, are very discrete, and reduce sound while keeping sound clarity. I actually think concerts sound better with these than without. The concerts these days are so loud that the sound blends together, but with these in the ears, I can pick out each instrument and the vocals FOR THE ENTIRE SHOW! While everyone walks out of shows saying they can't hear, I remove the plugs afterwards and feel the same before the concert started. Foam plugs totally block out the sound and dulls any experience into a muffled sound, but these don't do that. I can only imagine what my hearing would be like had I had these things years ago. I can't say enough about this product. I hope they dont quit making and selling these. MusicSafe Pro Professional Musician and Concert Ear Plugs (NRR 8/11/16)4DeanSDecember 26, 2011Overall the MS Pro plugs do the job of keeping my hearing intact. On the plus side, I like the shorter stems compared with my other plugs, because they're less visible. They're also a bit easier to clean. And, getting a third silicon piece is a real bonus, as small items like earplugs can be easy to lose. There are a few things that could be better. I tried all 3 protection level inserts but could not notice a detectable difference in volume levels. Also, the filters seemed to muffle high frequencies more than my other "music-friendly" plugs. One other thing - the silicon flanges could be firmer - they mush and crush as I'm trying to get them situated in my ear canals, even with the insertion tool. In summary, I would probably buy again, but only one protection level - not the whole set. MusicSafe Pro Professional Musician and Concert Ear Plugs (NRR 8/11/16)51toadfacedfrumpSeptember 11, 2011I was looking for something more comfortable than my Etymotic ER20's, and these Alpine's fit that bill for sure. You actually do forget they are in your ears. Listening to loud music while exercising today, the music was clear and natural, so much so that when I did a quick test pull of the right plug for a second to see how well they were actually protecting my ears, the volume was a shock to my poor ears and senses - knowing I used to listen too such volume levels routinely AND play my drums without protection is downright scary to me now. One thing I did not like at first was how short the stems are, as others have noted (I had to use tweezers to get the right plug out the first time I put them in too). But I am getting used to them more now and realized you don't have to stuff them very deep at all to get a great seal and outstanding volume reduction. The trick seems to be (for me at least) to not moisten them like the ER20's, then giving them a twist this way and that until you hear/notice the noise reduction. I'll see tomorrow how they hold up behind my drum kit at church with the bass drum, toms and cymbals bouncing off the plexiglass cage back at me, but I believe I will be very happy (that stinking cage was a Godsend actually, it made me seek out hearing protection!). I'ill still buy Etymotic's from time to time, but these are now also an important part of my arsenal against my own stupid hearing induced tinnitus (Mom told me those drums were going to hurt my ears - Mom is always right people!!). But strangely, I still have near perfect hearing, thank God. People are always commenting about how can I hear things said at low volume 2-3 rooms away, or 20-40 yards. God has been good to me, but like the great owners of this store and site, that annoying, loud tinnitus is truly a cross we will have to bear until He heals us - I have not given up hope for myself or them. But even when He does, they and Alpine have my business from now on. And if you haven't done it yet, read the company history please. The fine folks who shipped my order out very quickly are truly on a noble mission. MusicSafe Pro Professional Musician and Concert Ear Plugs (NRR 8/11/16)5SCJuly 24, 2011Outstanding ear plugs for practices and gigs. I just used my new pair last night for the first time at a gig and I could hear everyone in the band clearly (even the singers). By far the most comfortable ear plugs I ever used. I highly recommend them. The rest of my band is now looking to order them. MusicSafe Pro Professional Musician and Concert Ear Plugs (NRR 8/11/16)5DianeJuly 19, 2011I sing on a praise team at church...there is such a conflict over volume. Finally I was researching and found MusicSafe Pro (Whew) what a life saver or ear saver ;-) I have used each filter and found them to be awesome. Finally I can hear myself and others without the uncomfortable levels. There is a period of adjustment to hearing myself inside of my head. Allows me to produce a cleaner sound and to stay on part without being pulled off by out-of-control monitors. Very well worth it! It would be nice to have the option of a 12db filter. MusicSafe Pro Professional Musician and Concert Ear Plugs (NRR 8/11/16)2Tom CoatesJune 12, 2011I'm a drummer in a rock band. Regular foam earplugs do not help me when I play because the many frequencies of the drum set do not get attenuated evenly. It becomes very difficult to hear how I am blending with the rest of the band. The MusicSafe plugs did not do the trick. I used them for an entire set. They made it very difficult to get my sound blend correct. A positive thing about the MusicSafe plugs is that they were much better than foam plugs for listening to loud live music. I found them very comfortable and will continue to use them for that purpose. MusicSafe Pro Professional Musician and Concert Ear Plugs (NRR 8/11/16)5phiaMay 23, 2011Love them! MusicSafe Pro Professional Musician and Concert Ear Plugs (NRR 8/11/16)5jonMay 22, 2011I use the MusicSafe Pro and the Etymotic ER-20. As noted elsewhere, the MSPs are smaller, with a short stem and two flanges to the ER-20's three. The MSP's stem and flange are more comfortable with headphones. I'm using the gold filters. I haven't tested them yet with a band, but with phones they're about equal to the Etymotics. Both plugs work well, but for comfort or smaller ears, the MusicSafe Pro may be the better choice. MusicSafe Pro Professional Musician and Concert Ear Plugs (NRR 8/11/16)5AndrewApril 20, 2011I just bought my second set for my partner. Awesome fit and sound let through is very natural and normal sounding. Use all the time to go to nightclubs and concerts. MusicSafe Pro Professional Musician and Concert Ear Plugs (NRR 8/11/16)4ChrisApril 18, 2011I bought these to protect my ears at a rock concert, hoping to retain the sound, but reduce the volume. They worked well. They were very comfortable and certainly made the music easier to take. I used the 'white' inserts and I would say that most of the music quality was retained. It did sound slightly flat, compared to unprotected but I suspect this is the trade-off when using any plugs. Overall I am very happy with these. MusicSafe Pro Professional Musician and Concert Ear Plugs (NRR 8/11/16)5hcampos123March 25, 2011Perfect fit. Very confortable and easy to wear. Great for all kind of music concerts with the different filters. MusicSafe Pro Professional Musician and Concert Ear Plugs (NRR 8/11/16)5djangoMarch 19, 2011I work like a sound engeenier for a long time (15 years) and this is a best protection on market. the great thing is that I can do my job with them and I know that it will be great job. Like turn a bit volume down, and still feel soun atack araund me. MusicSafe Pro Professional Musician and Concert Ear Plugs (NRR 8/11/16)5Avid Concert GoerMarch 17, 2011These ear plugs are fantastic. Extremely comfortable, discreet, and work extremely well. MusicSafe Pro Professional Musician and Concert Ear Plugs (NRR 8/11/16)5Aaron RuscettaMarch 14, 2011I thought I had lost the first set of these comfortable, high quality hearing protectors that I bought about a year ago and was happy to see they were still available. Since the new ones arrived, I found the old ones of course, but I'm glad to have backups now. I like the selectable filter levels and the spare ear piece they include. I like the change to a CLEAR case, too, so you can see when you've put them away. And I really like the key chain carry case - I won't be losing any of these again! MusicSafe Pro Professional Musician and Concert Ear Plugs (NRR 8/11/16)5TakahashiMarch 14, 2011I decided to drop the money on some quality ear-plugs that do not distort the sound like foam ones as I started attending more concerts more and more recently. It was well worth the investment. I used these MusicSafe pros with the highest filter (read: gold) at the Las Vegas soundclash music fest. Cee-Lo Green vs. The Ting Tings, and their sweet sweet music sounded perfect, only at the right listening volume. It brought it down to a very comfortable level of listening, my only fatigue came from the bombardment of bass. Post event when I removed the plugs from my ears, I was amazed on how I was actually finding the normal hustle and bustle noise as far too loud. I was astonished. No ill effects from the concert in regards to hearing. These MusicSafe pros have my recommendation, hands down. MusicSafe Pro Professional Musician and Concert Ear Plugs (NRR 8/11/16)5DavidMarch 9, 2011I bought these earplugs so that I could go to a club that I enjoy but where the music is disruptively loud. These earplugs worked wonderfully! They brought the music level down to an comfortable level, so I was able to stay and enjoy the club. They are discrete, so it is not obvious that I am wearing them, and they work extremely well. MusicSafe Pro Professional Musician and Concert Ear Plugs (NRR 8/11/16)5ThomasFebruary 20, 2011I ordered these earplugs to wear to the Ozzy Osbourne and Slash concert this month. I was sitting 3rd row center stage so I figured I had to have some sort of protection. I used the high protection gold filters and they did exactly what they said they would do. I could hear all the music clearly and when the concert was over I took them out and my ears weren't ringing at all! I'll never go to another concert without these. I think they may be a good luck charm too because I caught one of Slash's picks! MusicSafe Pro Professional Musician and Concert Ear Plugs (NRR 8/11/16)5Fabio PertileJanuary 31, 2011If your unsure which ones to by stop here. MSPro Are the best protection available today. After 15 years of touring the world as a musician and live engineer and hearing aid technician, these are by far and away the best most natural sounding plugs I've come by (for the price). I insert them 15 mins befor the show and by stage time I'm almost unaware they are even in. They have a very smooth frequency responce with no wierd resonances anywhere in the spectrum. They clean easily too! MusicSafe Pro Professional Musician and Concert Ear Plugs (NRR 8/11/16)5GaryJanuary 24, 2011I use these plugs to limit certain frequencies and volumes of the world around me. I have a "Kazoo" ear left from acoustic trama caused by weapons fire. I use the different colors to match my environment, everything from dining out to driving to watching TV, theater movies, etc...they're great! I don't leave home without them! MusicSafe Pro Professional Musician and Concert Ear Plugs (NRR 8/11/16)5JohnNovember 30, 2010Used for the first time at Roger Waters "The Wall". I used the silver filters (medium) and was able to hear everything. The cannon shots were even a comfortable sound and that was the loudest noise in the concert. They were the most comfortable ear plugs I have used.